These pops are simple and only contain 3 ingredients. And who doesn’t like watermelon? This Labor Day, or for the rest of summer (or until it no longer feels like summer), cool off with these refreshing treats! The good in this? Watermelon has a high water content which makes it a great choice for the kids after they’ve been running around in the heat. 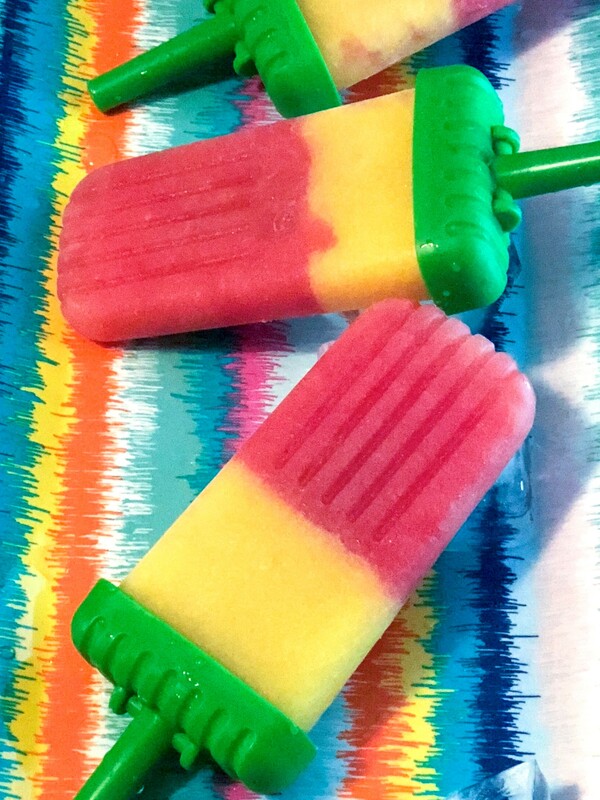 Watermelon and mango also contain Vitamin A, Vitamin C and potassium making this treat perfect for the end of summer! In blender, combine watermelon and 3/4 c of almond milk until smooth. Pour mixture equally into 6, 4oz popsicle molds, filling half way. Freeze for 20 minutes. Blend mango and remaining 1 c almond milk. Pour mango mixture into popsicle molds and freeze for 4 hours.